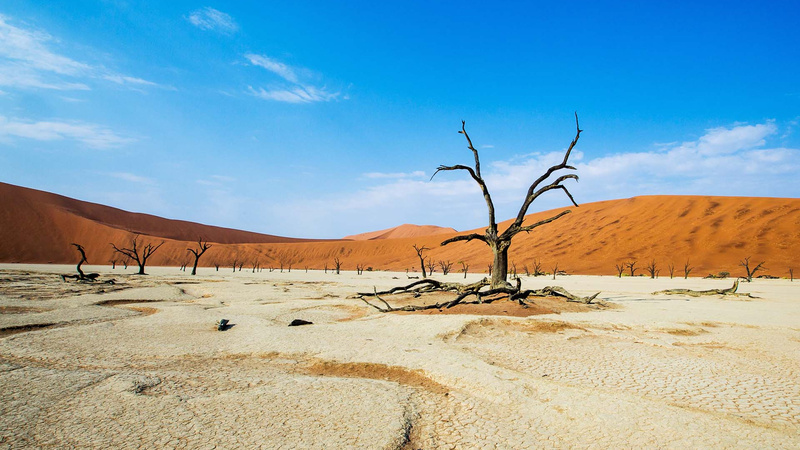 Mentioning that you're off to Namibia elicits a more or less identical reaction from the majority – from most, a blank face and an attempt to guess the location of the African country. But every now and again, there comes a sudden look of familiarity before an animated gush of enthusiasm. There's one clear reason that Namibia is such a well-kept secret; there are very few people here. Despite having more landmass than Germany, just 2 million residents inhabit the country, which is music to this Londoner's ears. Colonised by the Dutch and English in the late 19th century, Namibia is a melting pot of cultures – while on one hand, the arid landscape and roadside wildlife leave no doubt that this is Africa, on the other, it seems I'm never too far from a proper cuppa and a freshly baked pastry – ideal for certified city dwellers such as myself, easing themselves off the well-worn tourist trail. Having gained independence in 1990 Namibia is still relatively young in terms of tourism, but it knows its strong points and is using them to its best advantage; conservation is a real consideration, with many newly opened lodges and hotels using solar power, while national parks and reserves have been built to give the best possible experience to visitors and inhabitants alike. Once home to ancient bushmen who carved messages into the towering landscape, the mountainous region of Spitzkoppen is now part conservation, part tourism, as the recently opened lodge has driven tourists to the area, creating jobs for the local Nama people. The 15 purpose-built chalets which span the arid terrain have been built using only natural resources, with the chalets easy to dismantle to avoid long-term impact to the rock. While I'm somewhat spooked by the (real) Zebra skin rug in my chalet, the turndown service, secure insect net and personal balcony are the perfect antidote to a day spent climbing rocks and trailing animal footprints. Foodies might also be pleasantly surprised by Namibia, as every stop offers up an abundance of fresh fish, light salads and deliciously baked cakes - not to mention clean tap water - while for carnivores, there's plenty of red meat and game (Namibia is sure to boost those iron levels as well as your tan) and there's more than enough South African wine flowing to keep Brits abroad in good stead. Given its size, there's clearly a lot of ground to cover – but the excellent roads make getting from A to B (then C, D and E) far easier than I imagined. There's often so much to see, that the extended routes through desert or coastal roads give weight to the saying that it's the journey, rather than the destination, that counts. The tourist board has recently launched three new driving routes through the country; The Arid Eden Route, the Omulunga Palm Route and the Four Rivers Route, all offering history as well as plenty of wildlife and national parks. While many choose to take to the wheel themselves, our driving guide is worth his weight in local knowledge – and knows the best pit stops for spying an early morning flock of flamingos (or to pick up yet another delicious pastry). Windhoek, Namibia's capital, hosts most international flights to the country and has no end of quaint guest houses for weary travellers looking to hit the safari trail bright and early. Tourism here is still a work in progress but there are some real hidden gems; dinner at The Curious Kitchen at JoJos offers haute cuisine with a Namibian twist – zebra and oryx plated up Michelin style. Meanwhile, over on the coast, holiday resort Swakopmund offers a different view of Namibia, where expats and holidaymakers soak up the balmy temperatures, heading to nearby Sandwich Harbour to spy some of the country's 630 bird species or spot seals and dolphins diving into the surf. Of course - the real pull here is the animals. Namibia is the last place on earth where black rhinos roam free and is one of only two countries that are home to the desert-dwelling elephant; while animals such as gemsbok, springbok, bat eared fox, ostrich and black backed jackal are all seen on a regular basis. 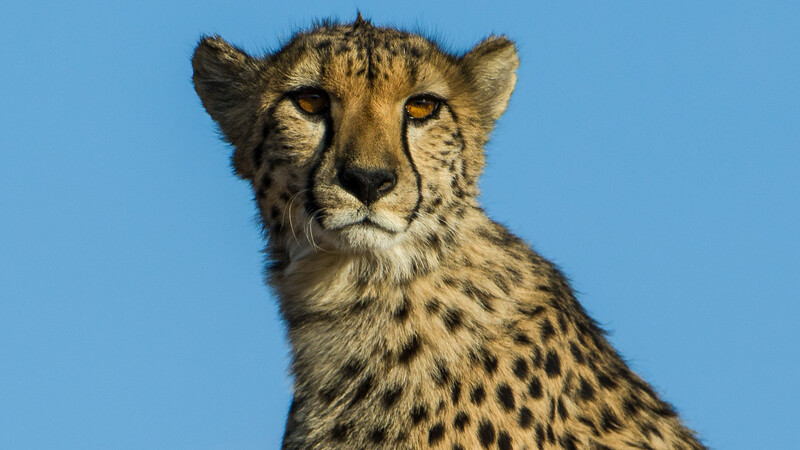 The country also holds the largest free-roaming population of cheetahs in the world, but sadly, many are under threat. 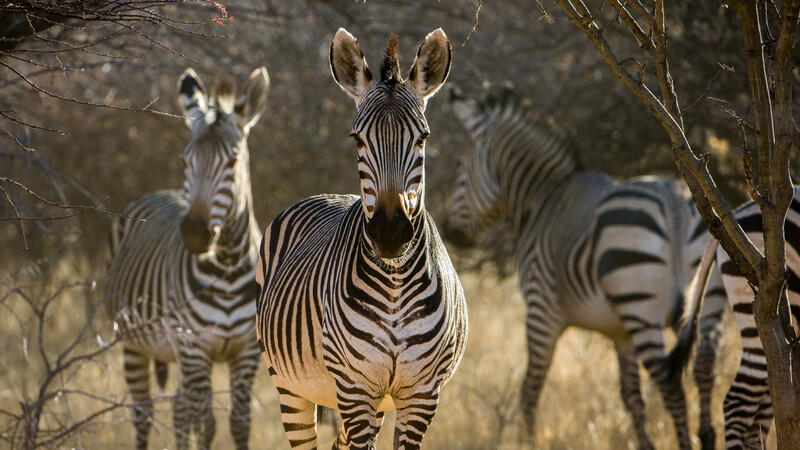 Etosha National Park is the must-do for animal lovers; covering a vast 4700km², it would be easy to spend days getting lost here (and many do). 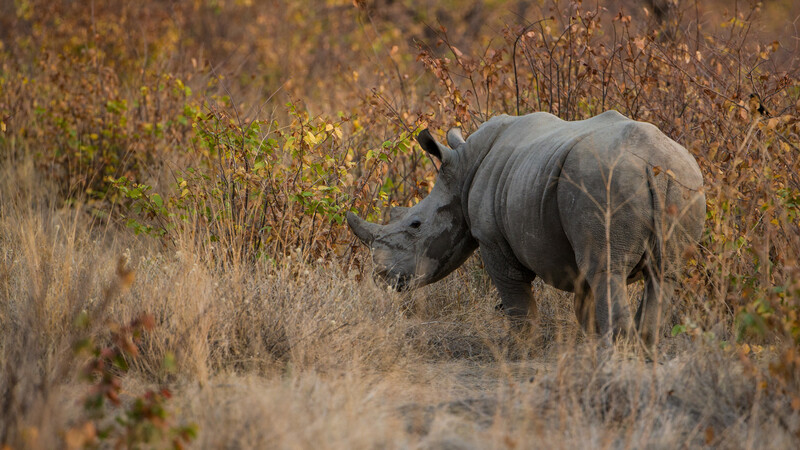 While the park is self-drive, the best way to get around is with one of the local guides, who are first to hear of a nearby rhino sighting and can spot a tiger from a hundred paces (invisible to us mere amateurs). 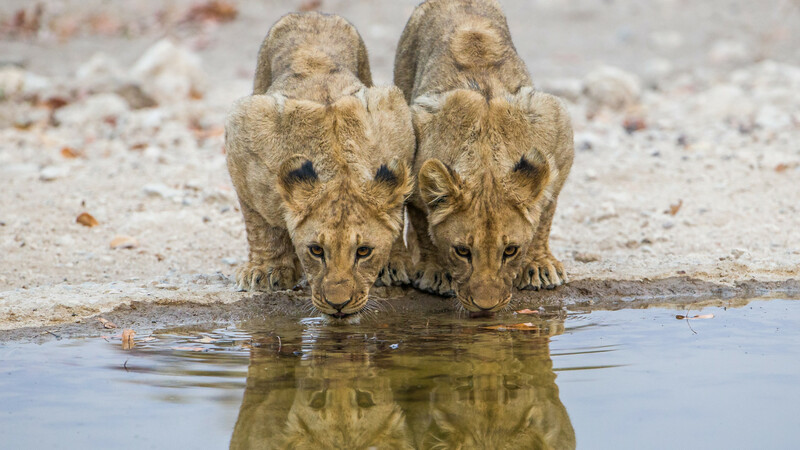 Just a few hours south lies Okonjima Bush Camp, a place which has managed to marry the luxury of a safari lodge, with their charitable foundation AfriCat to create a destination stop which is as much about the animals as it is the gourmet dining and stunning scenery. 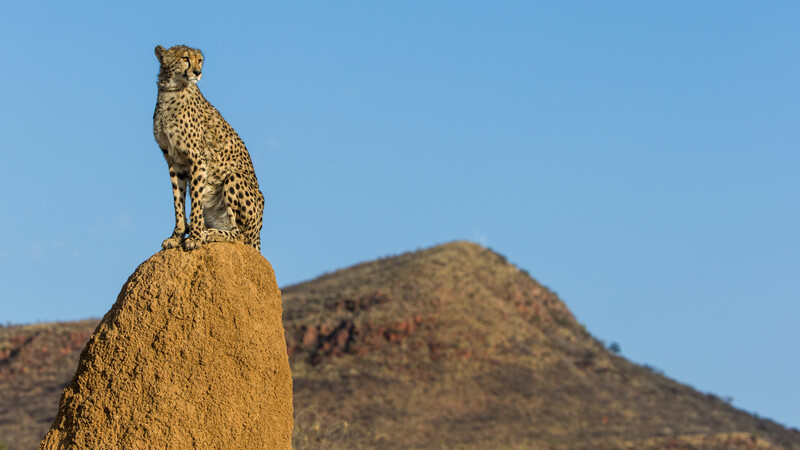 Here, abandoned leopards and cheetahs, can hone their hunting skills in the safety of the 200km² nature reserve, giving them the opportunity to become self-sustaining and return to their natural environment. Under our guide's watchful eye we head out on foot to spot (the best way to see cheetahs, we're told) and are soon face to face with three of the dozing cats, enjoying the afternoon sunshine. It's a magical moment, but guarded with only a metal pole I'm under no illusion that these are powerful creatures – and are more than relieved once safely back in the van, heading to a nearby viewing point for a sunset gin and tonic. 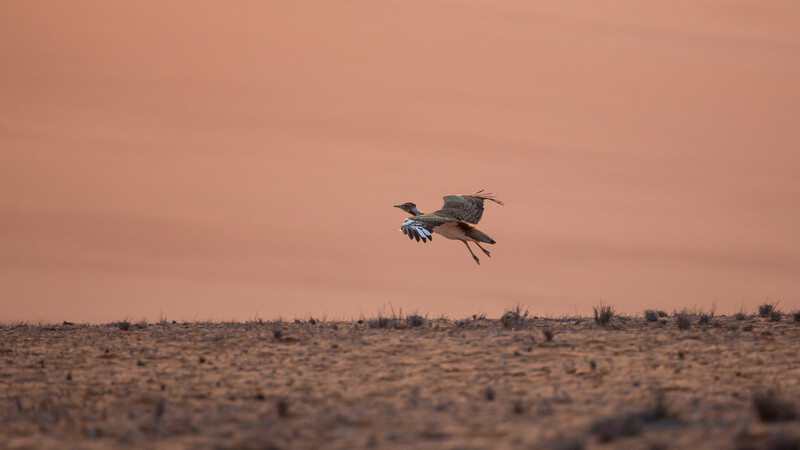 When it comes to nature, Namibia has all there is to offer and then some – and for those looking to escape the rat race, there's plenty of creature comforts too.